Okay! I've been to two Ramadan bazaars ONLY in PJ so far, so I can't tell you where to get the best Kuih or whatsoever. But, I'm going to tell you what I've eaten. 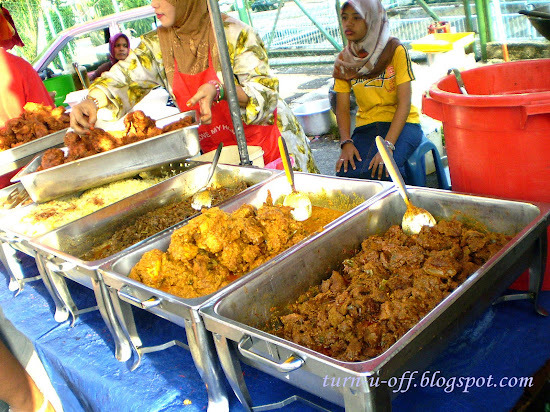 Ramadan bazaar in Section 17, PJ. Personally I think it'll be not worth it to go again. #2 Ice cold drinks of all colors. 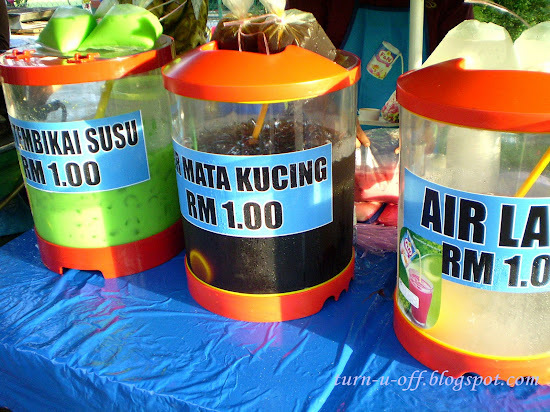 I bought air bandung cincau because it's pink!!! But, it tastes really bland. #3 The smokey-honey-scented BBQ chicken. 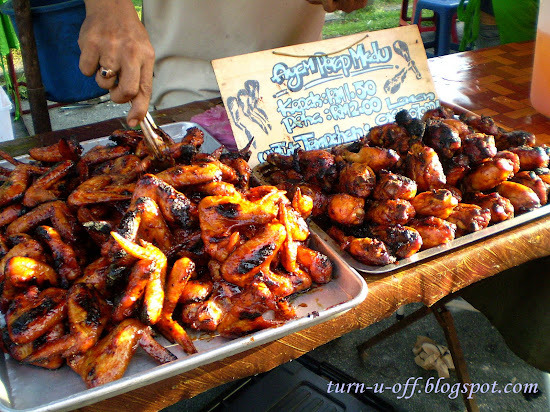 #4 Each wing costs RM1.50 and drumsticks were RM2. We bought 5 wings and 5 drumsticks. They were indeed more succulent and tastier. 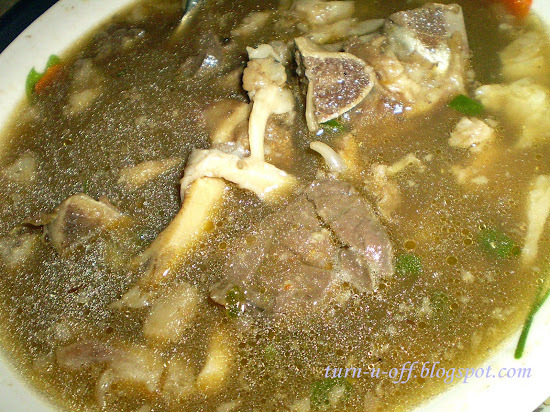 #7 A really tasty sup campur. #8 The tomato rice was okay, nothing special. 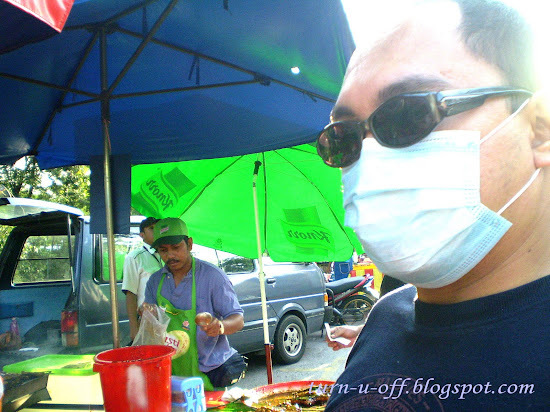 #9 Ralph always looks for Nasi Kerabu! 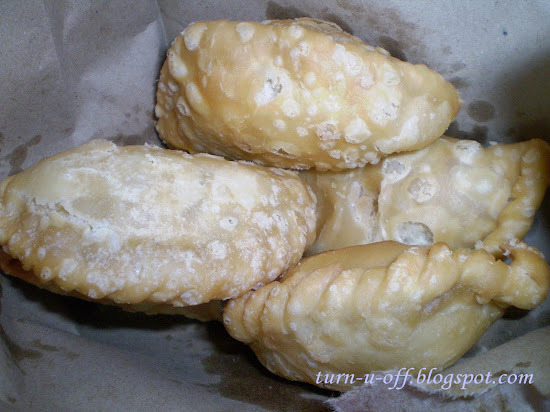 #11 I love curry puffs and I can eat a few at once! But these curry puffs - pretty on the outside, empty on the inside. Apa ni? #12 The not-so-satisfied food hunter. The Ramadan bazaar in Kelana Jaya is without doubt better than the one in Section 17. It is quite big too! Not as large but... large. 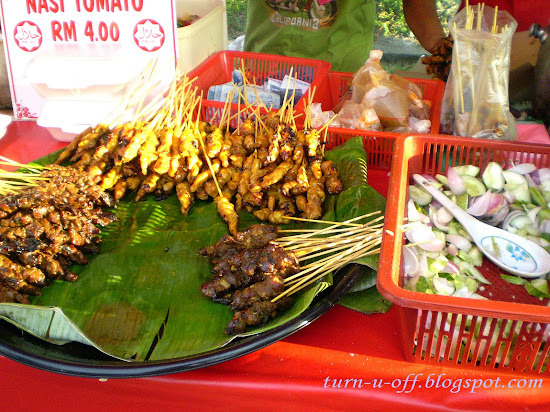 #13 The satay is cheaper. Loads of meat on each stick and the sauce wasn't too bad either. 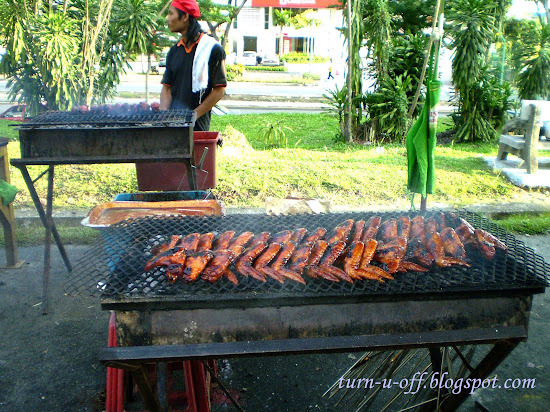 #14 Yummy Ayam Percik! Go check it out! Well, it's just a mediocre experience over-all. 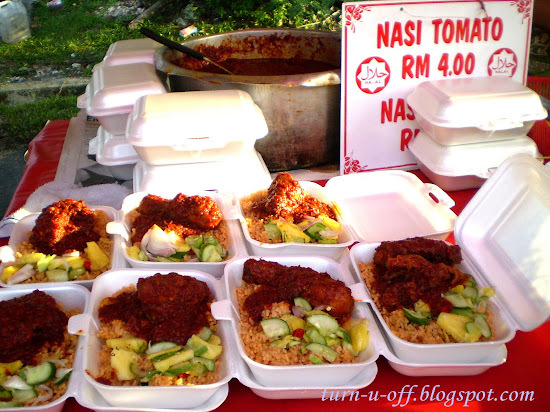 So, where's your favorite Ramadan bazaar? Wow did I get a chop? I'm off now to drop EC. Recent blog:=- Happy Birthday Baby Doll! LOL thanks for the review Mon, forget about sec 17! oh then go do yr PB first! 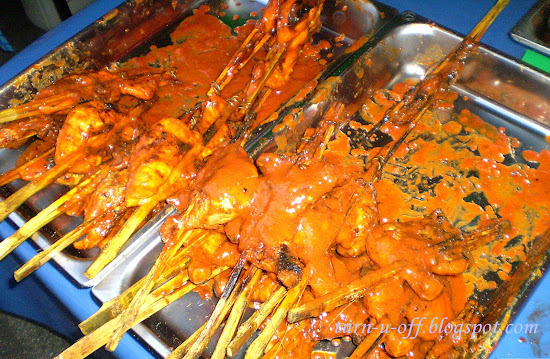 Thanks Mon….. tonight don wan to sleep, wan to chop only ROTFLMAO! Eh u zzzzz edi or not? Lazy Mon? But it’s not even the end of the month hahahah, usually that’s when we start feeling lazy! What???? U oso like LJ sleep 2 hours only oh no…sure u will sleep for 11 hours again tonight hahaha! Mariuca u haven't tried ayam percik before? Hahahahh if R disturbs you how? 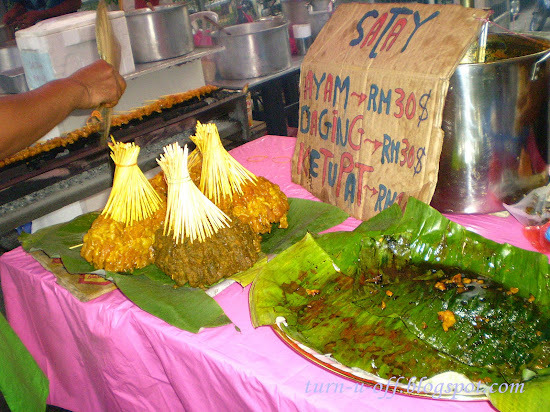 Hahahha yeah la, since small edi been eating ayam percik hahahhaha!! I am on BOTB Mon, vote for me if ur free! hey......these were a lot of dishes...........did you ate all of them.............????? Sometimes B oso scared to wake me up cause sure I get grumpy if he wakes me up poor thing!!! Hehehhe….yeah lor how not to get grumpy cause not ready to face the world lol…. Yay thanks Mon, when u going on BOTB la? Sure got lotsa credits now..
LOL easy peasy… just got to the BOTB page and start new battle… u don have to bet so high like me la, can start with 30 credits he he! hmmm how to check enuff credits or not ah?? Heheheh u earn credits when u vote on BOTB, when u surf member blogs etc… and oso when ur referrals surf for u ..
eh! how come tak banyak? since you reviewed most of the food. Who wants to chop? Buzz2! It really reminded me when I use to study and live at KL. I never go back to my hometown when RAYA. Recent blog:=- Do you noticed the different from Microsoft image? hmmm. i just had dinner and a slice of chocolate cake. but after looking at the photos, i got hungry again. gosh gosh. might as well get another slice of choc' cake and eat. yum! by the way, can my two blogs exchange links with your blog? will truly appreciate it. hugs! Recent blog:=- Can You Read To Me? 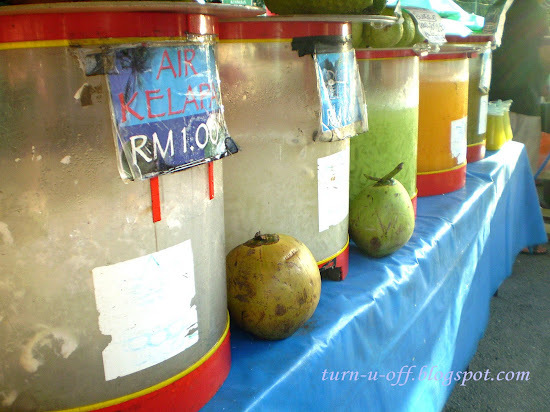 Hey, have you checked out the Ramadan bazaar at TTDI? 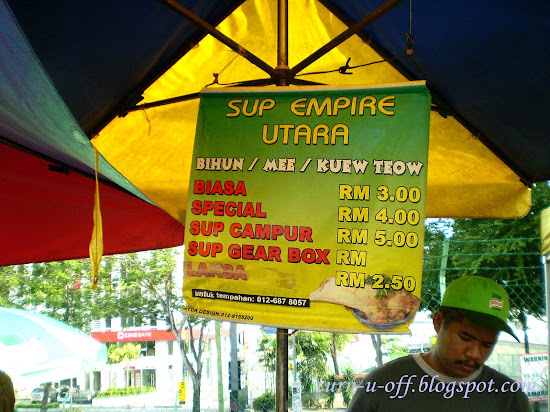 I think I like the popiah there. 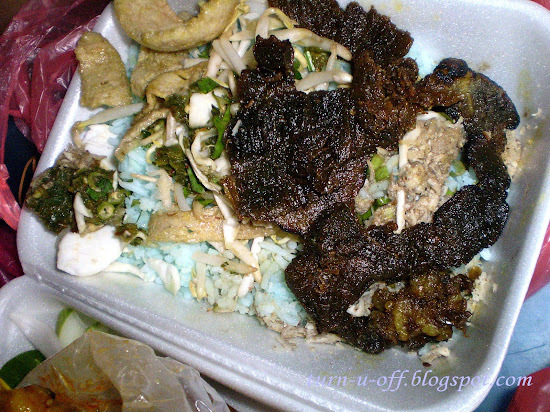 Why roll your eyes at nasi kerabu? You don't like nasi kerabu? Recent blog:=- I like Taylor Swift – and she won! lol @ buying that pink colored drink...and so bland!